Growing up, Craig and his family bounced around a bit before eventually landing in Orange County. Lucky for them, ending up in the OC meant they were right in the center of some of the best Vietnamese food in all Southern California. Now, lucky for me, a big part of visiting his family means escaping for a date night to hunt down all our favorite Vietnamese dishes, and Banh Mi is at the top of the list. When Farmer John reached out to me about their California Natural Boneless Fresh Pork Loin, I knew recreating this favorite was a must. 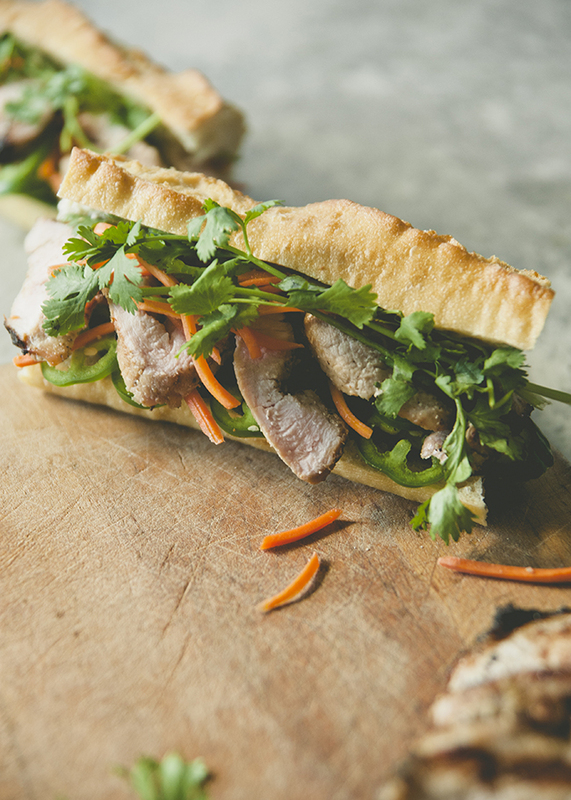 If you’re not familiar, Banh Mi is all at once a spicy, salty, sour, sweet, and aromatic adventure with grilled pork taking center stage. A thin, crunchy baguette stuffed with a multitude of flavors and textures all while, somehow, remaining relatively simple. I have a sneaking suspicion that Banh Mi could just be an excuse to eat grilled meat and vegetables without getting your hands dirty, and I’m not mad about that! Plus, who doesn’t love a good carb accompaniment? 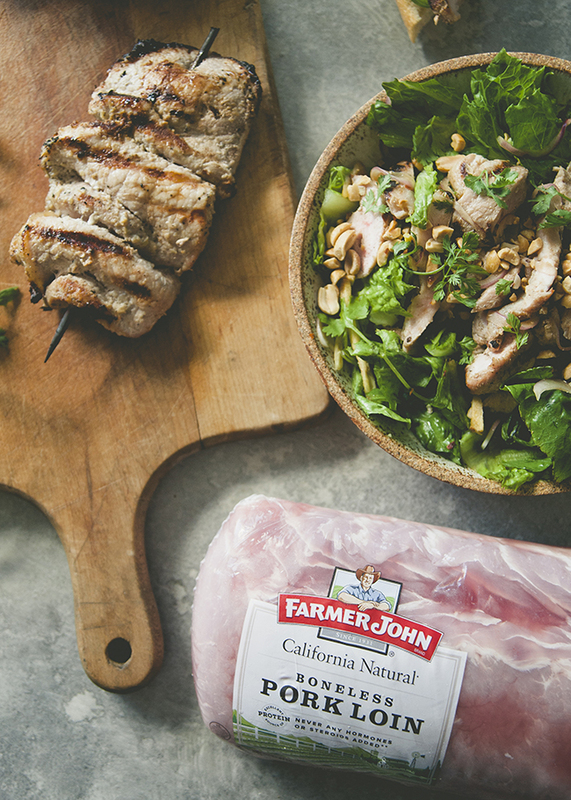 Inspired by Craig and my favorite date night flavors and experiences, and how Farmer John Boneless Fresh Pork Loin is so incredibly versatile and fresh, I knew the possibilities were endless. With that in mind, I created another fun and less carb-centric way to enjoy the flavors of Banh Mi using the leftover pork! 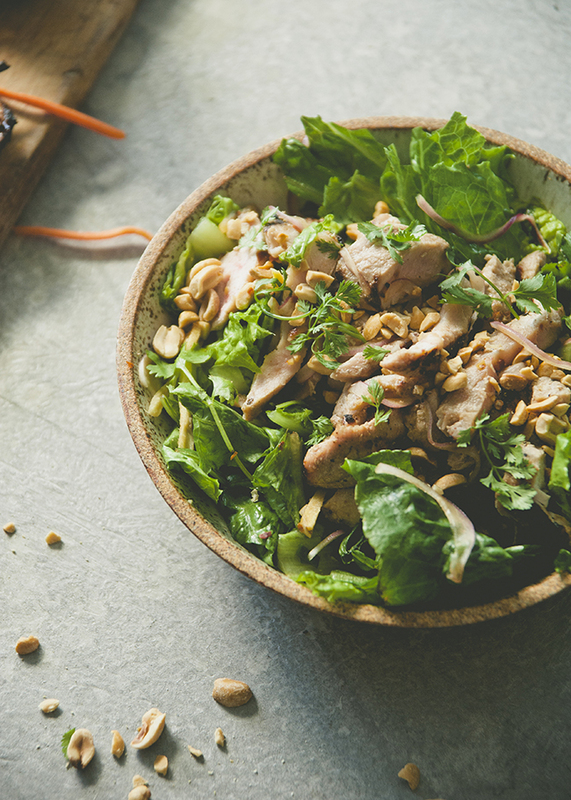 All you have to do is remove the bread, whip up a dressing, and toss it all with fresh greens – AKA Banh Mi salad! 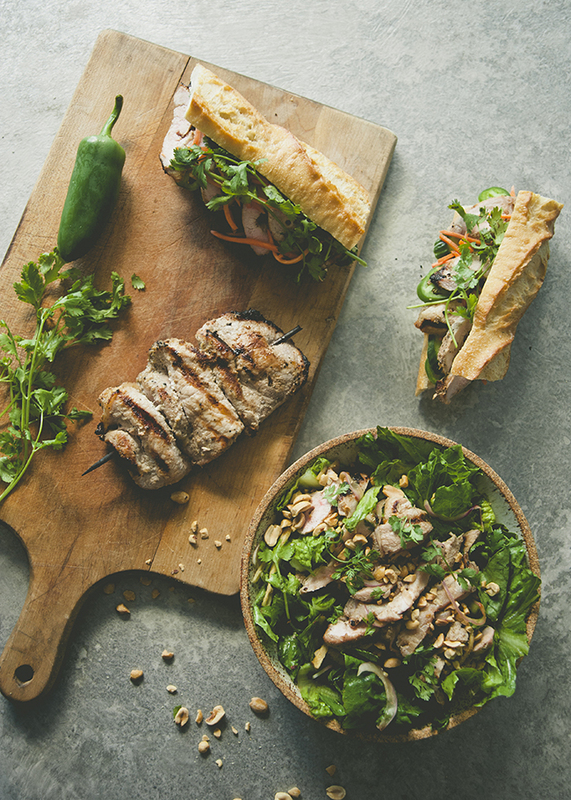 The juicy and flavorful pork loin pairs perfectly with the crunch of the greens and salad toppings, making for a flavorful, yet simple, weeknight dinner! For more information and full sweepstakes details, visit: www.smartandfinal.com/special-promotions. For more product information and delicious recipe inspiration, visit www.FarmerJohn.com. In a blender, puree all ingredients except the pork loin. In a large bowl or plastic bag, add the sliced pork and toss with the blended marinade. Seal or cover, and refrigerate for 2 to 4 hours (overnight is fine too). 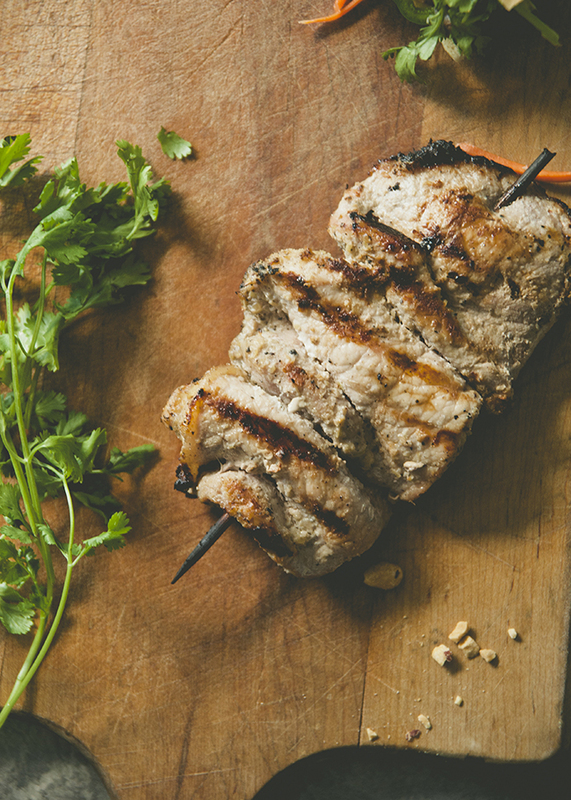 Thread the pork onto skewers. Heat a grill to high and brush the pork skewers with oil and grill, turning, until cooked to an internal temperature of at least 145 F, about 4 minutes. Spread the rolls with Hoisin and Sriracha. Add a few pieces of grilled pork loin. Top with the cucumber, cilantro, carrots, a few slices of jalapeño, and serve. Combine the sriracha, sugar, fish sauce, chili flakes, lime juice, and red onion and stir well. Let the sauce sit for about 10 minutes, this will take some of the bite out of the red onion. Combine the remaining ingredients along with the pork loin slices, drizzle the sauce and toss. Enjoy!